David R. Everett is a partner in the Firm’s Energy and Telecommunications, Environmental, Land Use and Development and Municipal Practice Groups. He joined Whiteman Osterman & Hanna in 1993. His areas of expertise include land use law, zoning and planning, real estate development, SEQRA compliance, solid waste management and environmental regulations. Mr. Everett routinely lectures on SEQRA compliance, zoning and planning issues and environmental permitting regulations throughout New York State for the N.Y. Association of Towns and N.Y. Planning Federation, among others. Acted as lead counsel for the development of numerous large warehouse distribution centers for Fortune 10 corporations and e-commerce companies. Handled distribution centers ranging in size from 500,000 sf to over 1 million sf. Also handled distribution centers located adjacent to Stewart International Airport in the Town of Newburgh, NY. Handled all aspects of the development process including negotiating land purchase agreements and other transactional matters, handling due diligence investigations, obtaining right to build approvals and financial incentives and successfully defending litigation challenging project approvals. Acted as lead counsel for the development and redevelopment of a number of truck stops and travel centers across New York State for a Fortune 15 company. Handled all aspects of the project including contract review, site due diligence, site plan and subdivision review, zoning variances, signage permits, environmental review, petroleum remediation, UST issues, etc. Acted as lead counsel for the municipal review and approval of one of the largest private residential golf resorts in the Hudson Valley valued at between $750 million to $1 billion. The resort contained hundreds of dwelling units consisting of estate homes, single-family homes, condos, townhomes, hotel lodging units, a championship golf course, club house, numerous recreational amenities, utilities and related improvements. Handled all aspects of site plan and subdivision reviews, environmental review, performance bonding, transportation corporations for water and wastewater disposal, conservation easements, public park easement, homeowners association, etc. Successfully handled numerous lawsuits seeking to overturn the environmental and land use approvals for the project. Acted as lead counsel to several religious organizations in the Hudson Valley in the development of monasteries, missionary training facilities, literature production facilities, administrative offices, residential facilities and worship halls. Also handled all aspects of site selection and acquisition, due diligence, land use and environmental approvals, RLUIPA, etc. 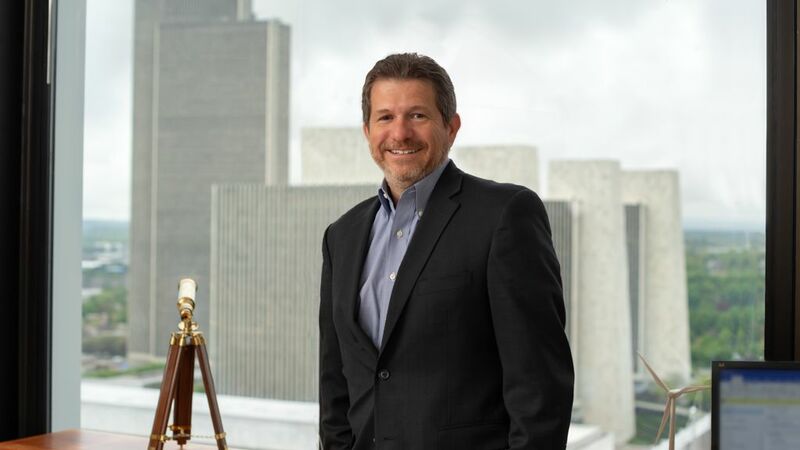 Acted as the lead counsel for a national home builder in connection with the development of over 3,000 homes in the greater New York City area including single-family homes, town homes, condominiums, age-restricted communities and affordable housing. Conducted environmental due diligence investigations related to the development of large residential communities. Assisted with the redevelopment of large urban brownfield sites for residential communities. Acted as lead counsel for one of the largest real estate developers in New York State in connection with the development of shopping centers including strip centers, neighborhood and community retail stores, power centers and lifestyle centers. Assisted a client in securing $500 million in private financing to construct a super-regional shopping mall in the lower Hudson Valley. Acted as lead counsel for the New York Independent System Operator (NYISO) in connection with obtaining land use and environmental approvals for the construction of the power control center (PCC) for New York State. The PCC operates and controls the bulk electric transmission grid across the State. Acted as lead counsel in connection with the development, construction and operation of the largest private motorcycle racetrack in the country. Successfully defended multiple lawsuits challenging the land use and environmental approvals for the track. Acted as lead counsel in building a coalition of almost 50 municipalities from across the State to file amicus curaie briefs in lawsuits challenging the legal authority of municipalities to adopt zoning controls on natural gas drilling. Acted as lead counsel for over 60 municipalities in the Southern Tier of New York State in connection with developing and implementing local road protection programs with respect to natural gas drilling operations. Assisted the New York State Thruway Authority with environmental impact assessment and permitting issues associated with the redevelopment of the Tappan Zee Bridge and I-287 corridor from Port Chester, NY to Suffern, NY. Assisted Woodstock Ventures in obtaining land use and environmental approvals for the Woodstock Music Festivals in 1994 and 1999. Prepared and negotiated numerous contracts on environmental issues including contracts for the removal of septage, solid waste, hazardous waste and regulated medical waste. Assisted clients in obtaining land use approvals from planning, zoning and legislative boards including site plan and subdivision approvals, special use permits, variances, zoning amendments, etc. Handled all aspects of land use litigation. Assisted clients in obtaining environmental permits and approvals from federal, State and local agencies including wetland permits, SPDES permits, stream impact permits, flood protection permits, air permits, stormwater permits, etc. Assisted FORTUNE 500 companies in complying with State and federal environmental laws including air, water and underground storage tank regulations. Represented clients before State and federal agencies in enforcement actions regarding alleged violations of environmental laws. Negotiated consent orders with the EPA and New York State Department of Environmental Conservation. Represented resource recovery agencies in siting County-wide landfills, developing solid waste management plans, and preparing, adopting and enforcing flow control and recycling regulations. Handled litigation challenging the constitutionality of flow control laws. Represented wastewater treatment plants on various industrial pretreatment matters including compliance and enforcement. Drafted industrial pretreatment regulations for POTWS. Co-author, “Zoning Immunity: What’s That?” 15 N.Y. Zoning Law and Practice Report, May – June 2015, at 1-12. Co-author, “FCC Issues New Order for Modifying Telecommunications Sites,” Planning News (NY Planning Federation, Spring 2015). Co-author, “To Drill or Not To Drill: Municipal Land Use Strategies for Addressing Natural Gas Drilling,” 15 N.Y. Zoning Law and Practice Report, November – ecember 2014, at 1-11. Co-author, “Exempting Local Governments from Zoning Regulations,” Monthly E-News (NY Planning Federation, December 2013). Co-author, “SEQRA Update,” Planning News (NY Planning Federation, Fall 2012). Co-author, "Hydraulic Fracturing Faces Legal Challenges," Planning News (NY Planning Federation, Summer 2012). Co-author, “The Billion Dollar Question-Are Municipalities Preempted Under New York State Law From Using Their Zoning Powers to Control Hydraulic Fracturing For Natural Gas?” NYSBA Environmental Lawyer Journal (2012). Co-author, “New Open Meeting Law Requirements,” Planning News (NY Planning Federation, Winter 2012). Co-author, “Case Law Update”, Planning News (NY Planning Federation, Fall 2006). Co-author, “Case Law Update”, Planning News (NY Planning Federation, Summer 2006). Co-author, “Case Law Update”, Planning News (NY Planning Federation, Winter 2005). Co-author, “Case Law Update”, Planning News (NY Planning Federation, Fall 2005). Co-author, “Case Law Update”, Planning News (NY Planning Federation, Summer 2005). Co-author, “Case Law Update”, Planning News (NY Planning Federation, Spring 2005). Author, “Case Law Update”, Planning News (NY Planning Federation, Spring 2004). Author, “Municipal Control of Mining as a Land Use,” Planning News (NY Planning Federation, Winter/Spring 2003). Co-editor, “Inside Albany,” Environmental Law in New York, Matthew Bender & Co. Co-author, “Administrative Decisions Update”, NYSBA’s Environmental Lawyer Journal. “The Hazy Future: Are State Attempts to Reduce Visibility Impairment in Class 1 Areas Caught Between Scylla and Charybdis? The Effects of the Clean Air Act Amendments of 1990 on Visibility Protection,” 8 Pace Environmental Law Review 115 (1990). Juris Doctor and Certification in Environmental Law from Pace University School of Law. Bachelor of Arts in Political Science from Gettysburg College.